We are a global air cargo charter brokerage company - our size, global infrastructure and experience in cargo chartering is what sets us apart from many of our competitors. 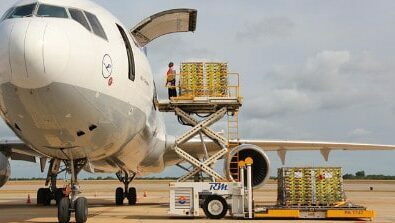 We offer a full range of cargo aircraft, from small jets for urgent packages, to large freighters for outsize cargo. We also offer an onboard courier service. When your production line siezes or an aircraft is grounded due to a missing part, no other transport means can provide you a faster solution than Air Cargo. Knowing the exact locations of thousands of a/c worldwide we will be there to help. From transportation of Explosives to Corrosive Substances, Oxidising Agents to Radioactive Substances you will need a specialist understanding all classes and shipping guidelines. We are experts at finding the correct aircraft licensed to carry your sensitive freight. Transporting your Heavy & Oversized Cargo requires in dept knowledge of the specialized aircraft which can perform the task. Our experts will handle the hassle and you can focus your project with peace of mind. When you need to reach out to a remote destination where it is almost impossible to get to with scheduled flights, Mira is there to assist you. With our extended network of operators who are experienced to operate in such destionations we will make sure your cargo reaches its destination. One of our charter experts is able to assist you on the ground to make sure that all aspects of your cargo charter run smoothly. Reaching under-serviced locations, allowing your cargo to arrive closer to its final destination. Each one of our charter experts has undergone intensive training and spent time on the tarmac so that they understand exactly what it takes to manage a charter flight from start to finish. No matter where your cargo needs to get to or where from, our international network of offices provides you with local knowledge on a global scale. Our buying power and reputation allows us to find you the best cargo charter prices, ensuring you always receive the most cost effective solution. Contact us at the Ankara office or submit an inquiry online.